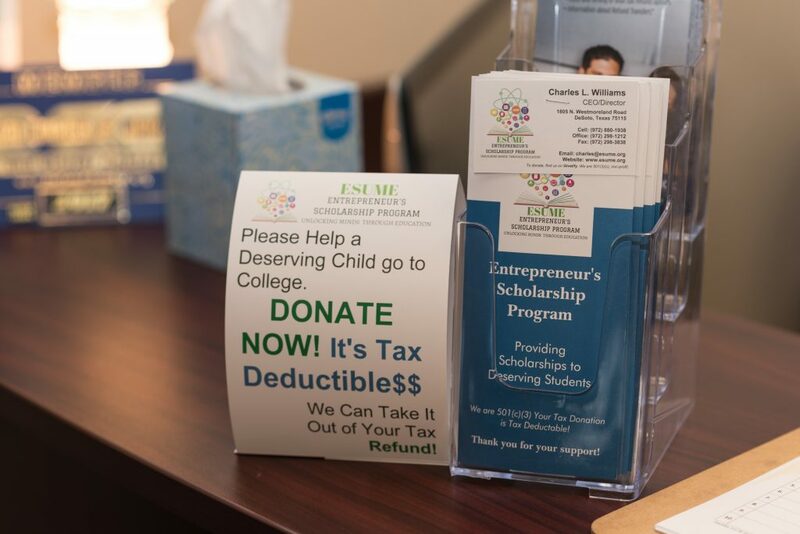 The purpose of the Entrepreneurs Scholarship program is to Provide Education Scholarships to Low Income Single, Head of House, and Married Filing Jointly Families with students between the ages of 17 and 24. Student must have not been convicted of a Federal or State Felony. Student must be enrolled at least one-half the normal full-time workload leading to a Degree, Certificate or other recognized educational credential from an eligible Primary, Secondary school, a College, University, or Vocational School whose primary function is the presentation of formal instruction and that normally maintains a regular faculty and curriculum and normally has a regularly enrolled body of students in attendance at the place where it carries on its educational activities. Low Income is defined as Single Parent household making $65,000 or less and Married (2Parent) household making $130,000 or less.